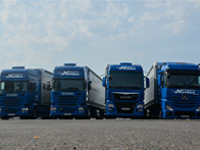 Our fleet has about 30 trucks and 35 trailers as well as a 12t truck. The average age of the trucks amounts two years. 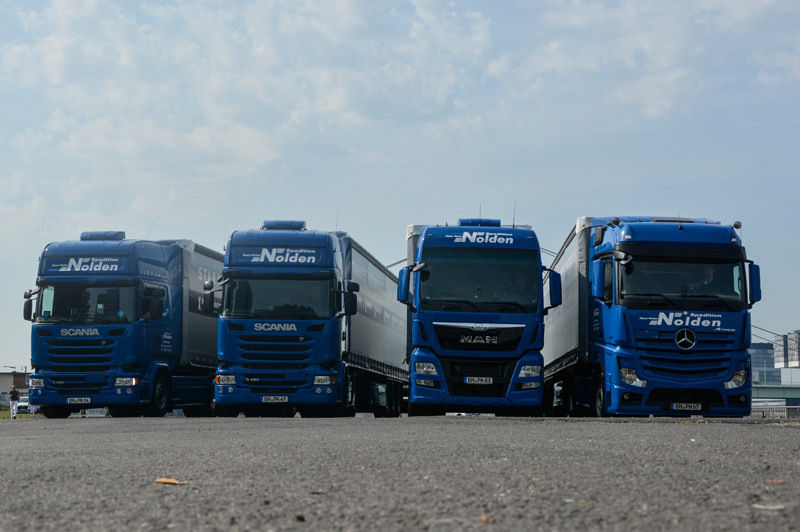 The majority of the trucks fulfill already the standard EURO6. The trailers have got 34 euro-palette storing positions. They offer full flexibility for time-efficient loadings from the back and side as well as per cranes. All drivers of our company have got the permission of ADR to transport dangerous goods. Furthermore, they undergo further educations. We give our promise to customer’s individual requirements regarding safety and transports. The equipment of our truck fleet includes: special ADR-equipment and above-average loading safety material including anti-skid mats and a minimum of 20 lashing straps. We are using the Trimble-telematics system to achieve deliveries on schedule. The transport management and coordination rely on real time services for the driver communication, route design, tracking and tracing as well as driving time monitoring. On the one hand the system guarantees geographical monitoring and on the other hand it guarantees live-monitoring of the truck technology, the driving style and the efficiency of the trucks. Our principals demand a consistent security orientation in the transportation of goods. Our employees are qualified and pass regular technical further educations. 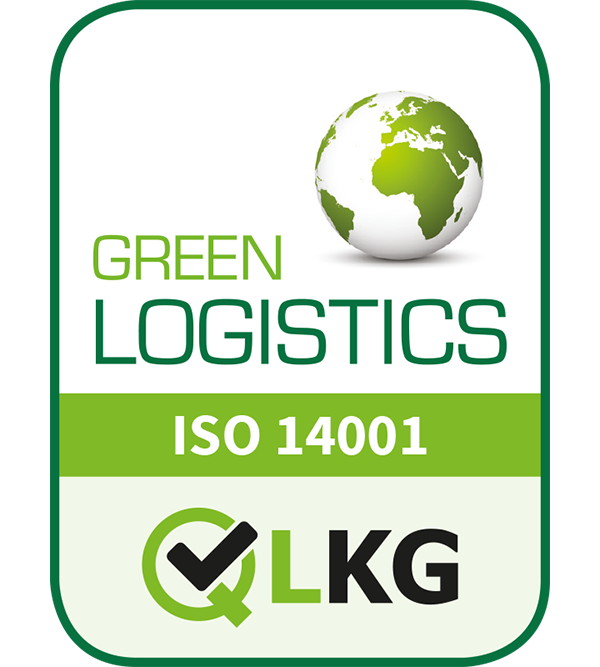 In cooperation with big carriers we develop freight-specific optimized loading procedures which are tested and certified by known test societies. Appropriate certificates simplify the load securing controls and support quality and risk management-systems of our customers. The documented quality of the load securing offers also advantages regarding insurance aspects.